I must admit, I keep thinking spring is near. At least we are finished with January. But, there’s still quite a bit of winter to go. That doesn’t mean we can’t get out of the house! There is a lot happening in downtown Buffalo and at Evelyn’s in the next few months. 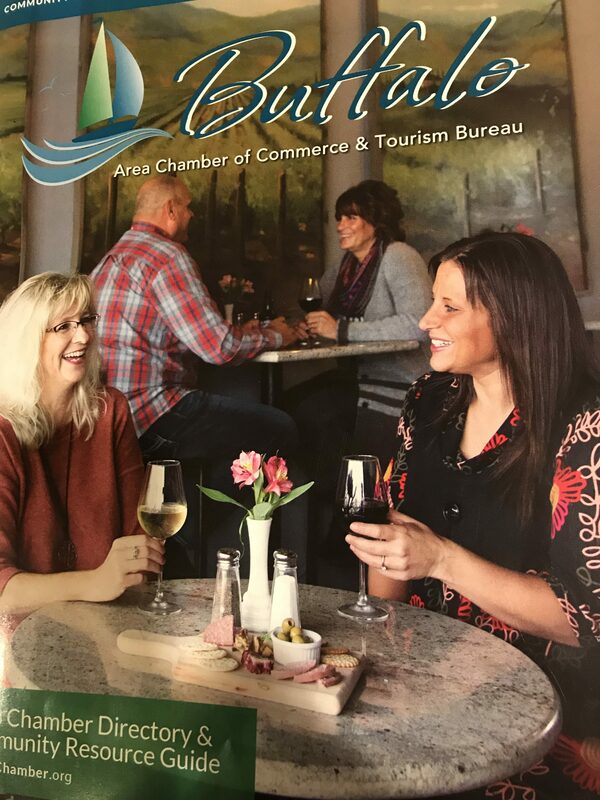 If you’re looking for some ideas, make sure you check out the Chamber of Commerce and Tourism Bureau’s new website and community resource guide. Evelyn’s was excited and honored to be on the cover of this year’s edition. It has plenty of information on things to do in Buffalo. We are also getting ready for some fun events and promotions at Evelyn’s. Below are just a few. Look for more information in the coming weeks here and on our FaceBook page. Evelyn’s Valentines special – Your choice of a bottle of the house red or white wine, one of our tasty nibbles, a flatbread and one dessert for $44.00. Walk in or make reservations here. Join us for a Psychic/Medium Gallery in The Cellar at Evelyn’s with Leigh Cohen Wyatt. Registration and ticket purchase will be available on Eventbrite soon. We will host another Art Around Paint Party in The Cellar at Evelyn’s. 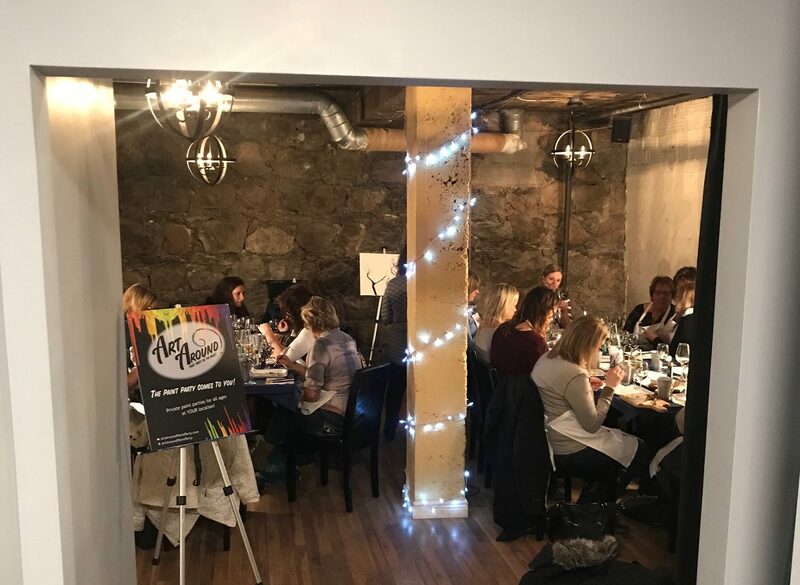 The first event this past month was such a hit, we will be painting wine glasses again and offering wine and food specials. Again, we will have registration and ticket purchase available on Eventbrite soon. Evelyn’s and One Division Art present An Evening of Art and Wine. Unwind & Wine with Evelyn’s and The Fire Within Yoga. 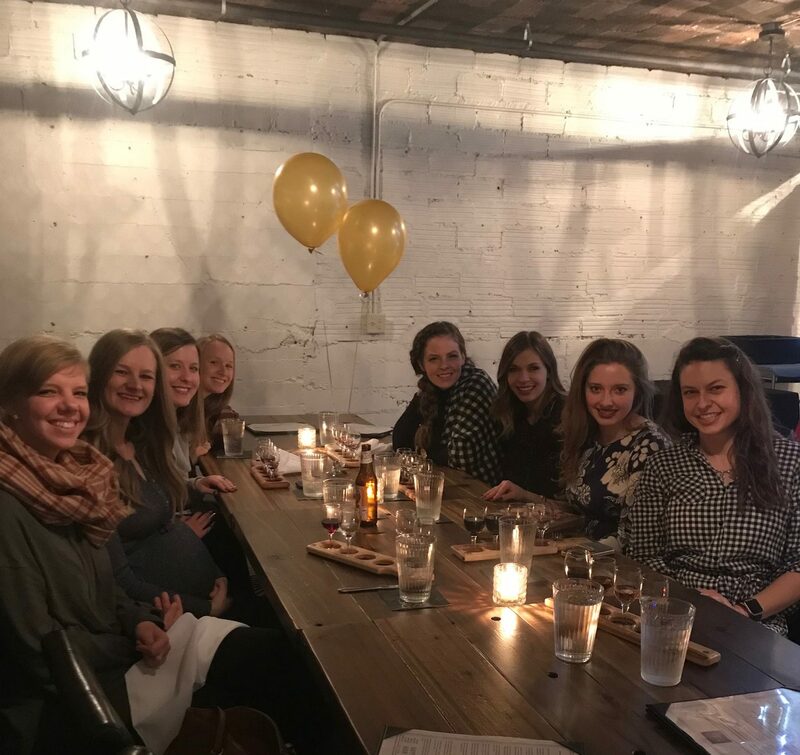 Thank you to all the fun groups who have reserved our private party space downstairs for birthday parties, bachelorettes, grooms dinners and business events.